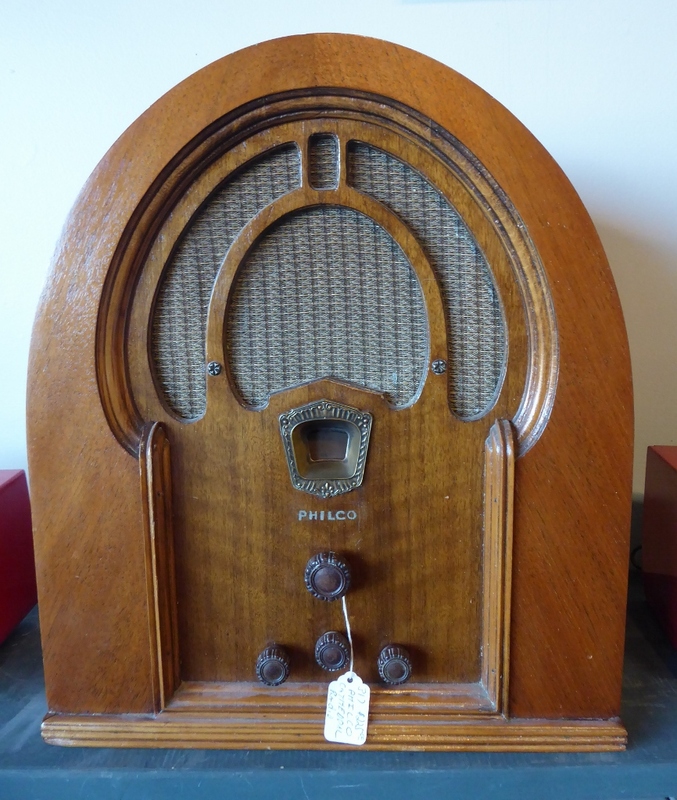 Refreshments on the Weekends and Plenty of Parking in the Back of the Emporium! Close to I-81/66 on Route 11 in Strasburg, Virginia! 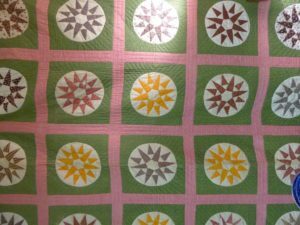 Please Scroll Down for Descriptions and Prices! 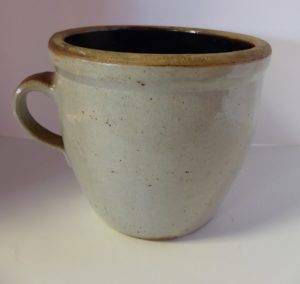 Crock w Handle, $65.00 – Booth 32. Double Globe Lamp, (Bottom and Top Globe Light Up), $185.00. Hand Painted. Booth 32. Cathedral Philco Radio, Booth 317, $225.00. 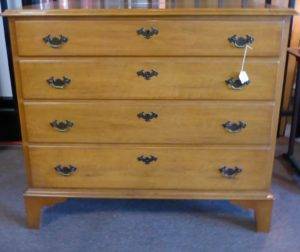 Chippendale Style Chest, Booth 218 – $235.00. Metal ‘Beautyware’ 4 Piece Canister Set, $12.00, Booth 202. 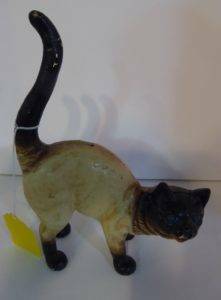 Cast Iron Siamese Cat Bank – $25.00, Booth 202. 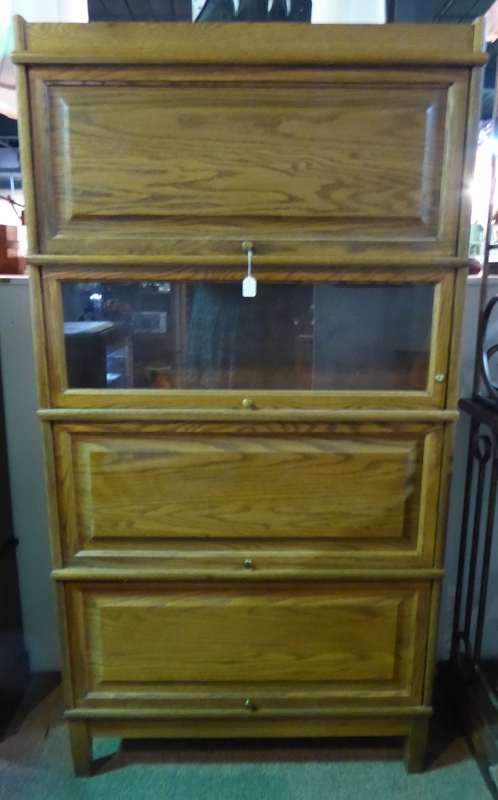 Vintage Bookcase, $425.00, Booth 333. 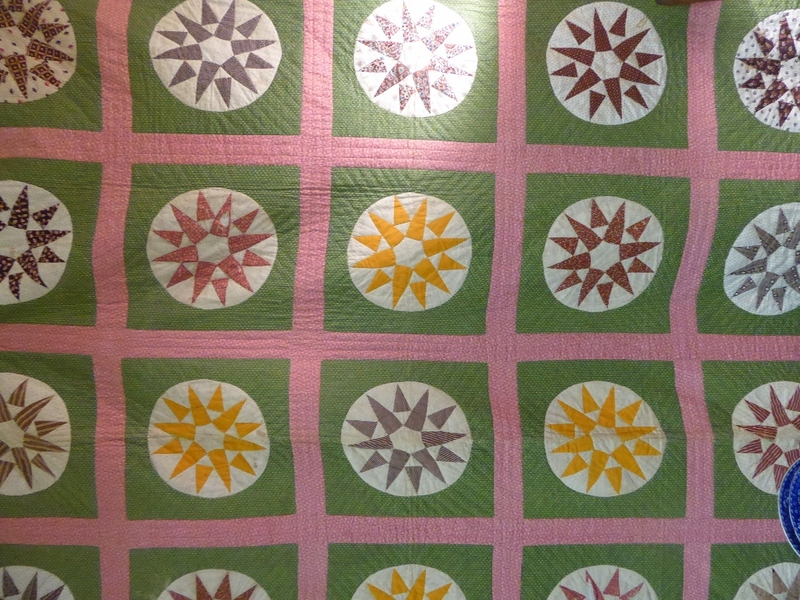 Compass Quilt from Booth 38, $195.00. Farm Table w Chrome Legs – Reclaimed Heart of Pine Top – $595.00, Booth 111. 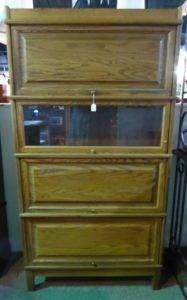 Jelly Cupboard, $185.00, Booth 25. “Marley the Moon” Figurine, Hand Crafted, Signed by the Artist, $295.00, Booth 600. 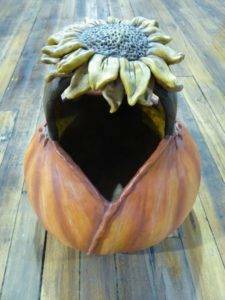 Hand Made, Signed Pumpkin w Sunflower – $395.00. 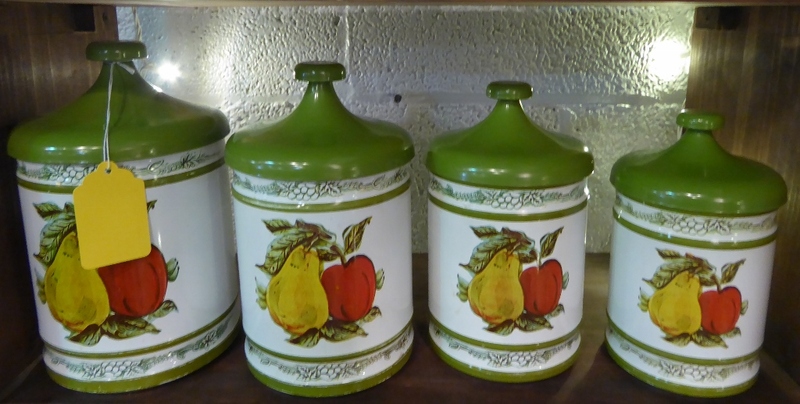 ‹ USA Oil Jar, a Six Legged Table and a Brownware Butter Crock!